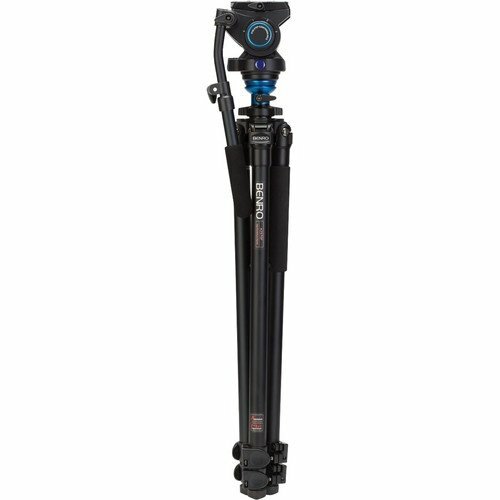 Benro's A2573FS6 S6 Video Head and AL Flip Lock Legs Kit offers an S6 video head combined with aluminum single leg tube tripod legs with flip-lever leg locks. The S6 head features Posi-Step Counterbalance system with four settings of 0.0, 4.4, 9.9 and 13.2 lb. The S6 has 360° panning rotation and variable-tilt drag for smooth camera moves. There are separate pan and tilt lock levers for lock-off shots. It has an illuminated built-in bubble level and it's designed to support cameras and camcorders weighing up to 13.2 lb. 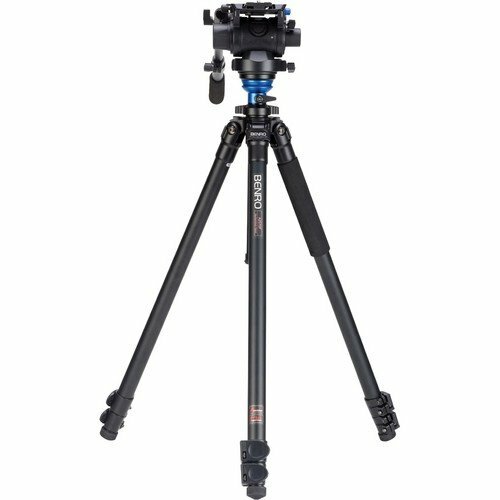 The aluminum alloy legs are complemented with cast magnesium alloy components to produce a sturdy camera support.